Rising sea levels, precipitated by climate change, threaten to overwhelm the world’s cities if we do nothing — that’s the message Studio Roosegaarde vividly brought last week to the United Nations (UN) Headquarters in New York City. The studio’s light display, Waterlicht New York, showed the height of water levels during 2012’s Hurricane Sandy. Waterlicht, or water light, creates a virtual flood with technology, including LED lighting, lenses, and software. First installed in the Netherlands in 2015, Waterlicht has visually demonstrated water levels stemming from climate change around the world. 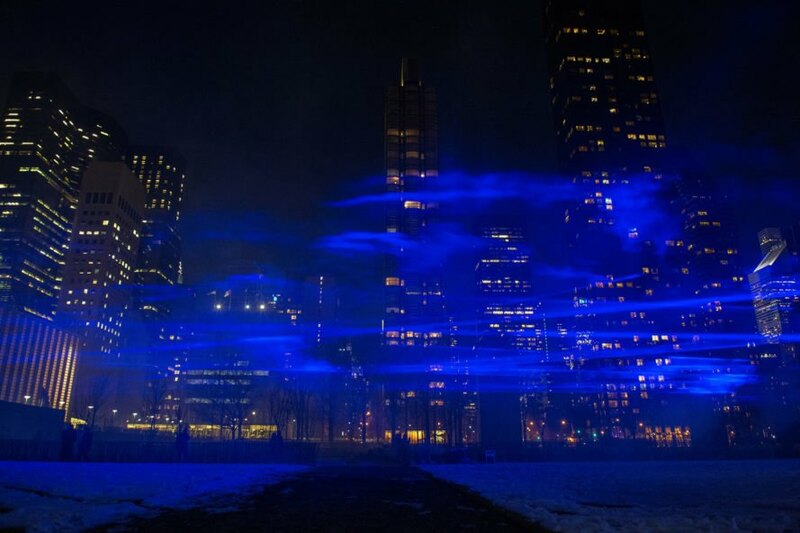 Studio Roosegaarde brought what they call the dream landscape to New York City for World Water Day. The National Hurricane Center listed Sandy and Harvey among the costliest United States tropical cylones ever; Harvey is the second costliest storm on record for all US hurricanes with around $125 billion in damage. Sandy clocks in at fourth place with $65 billion in damage. Around 72 people died in the United States because of Hurricane Sandy; Harvey’s death toll was over 80 people. 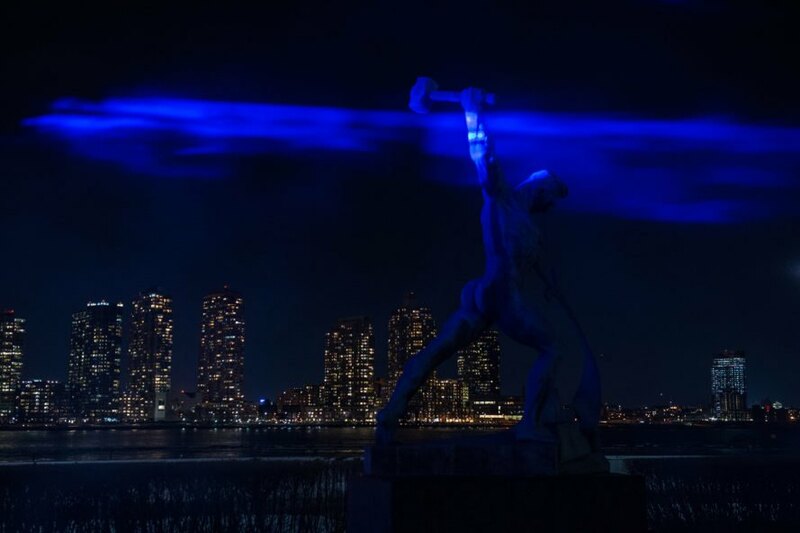 Rising sea levels, precipitated by climate change, threaten to overwhelm the world's cities if we do nothing — that's the message Studio Roosegaarde vividly brought last week to the United Nations (UN) Headquarters in New York City. Their light display, Waterlicht New York, mimicked the height of 2012's Hurricane Sandy. 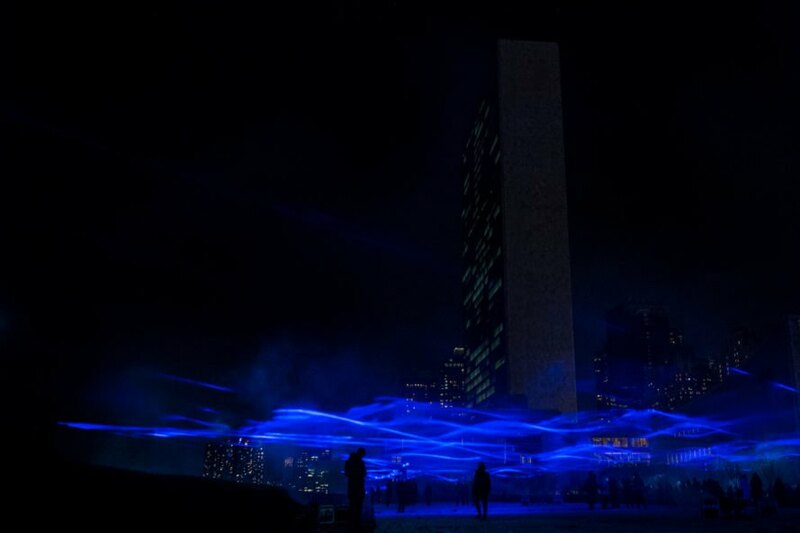 Waterlicht brightened the North Lawn at UN Headquarters. 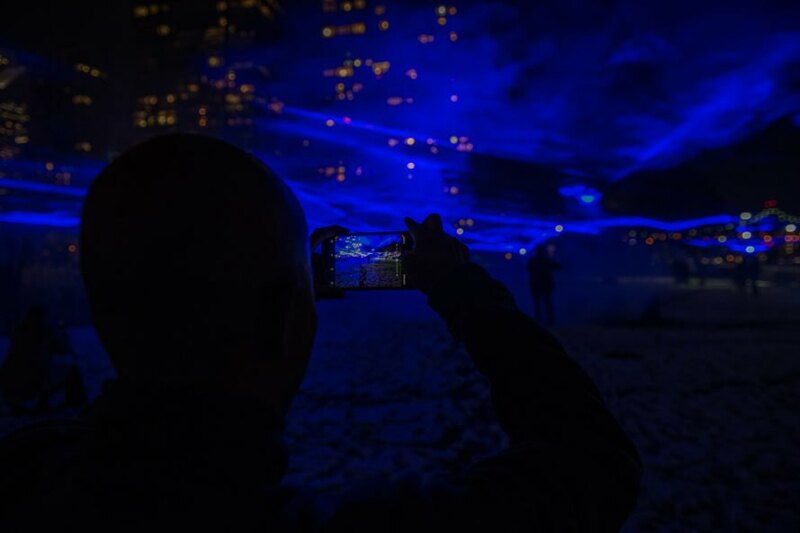 LED lights, lenses, and software helped create Waterlicht New York. 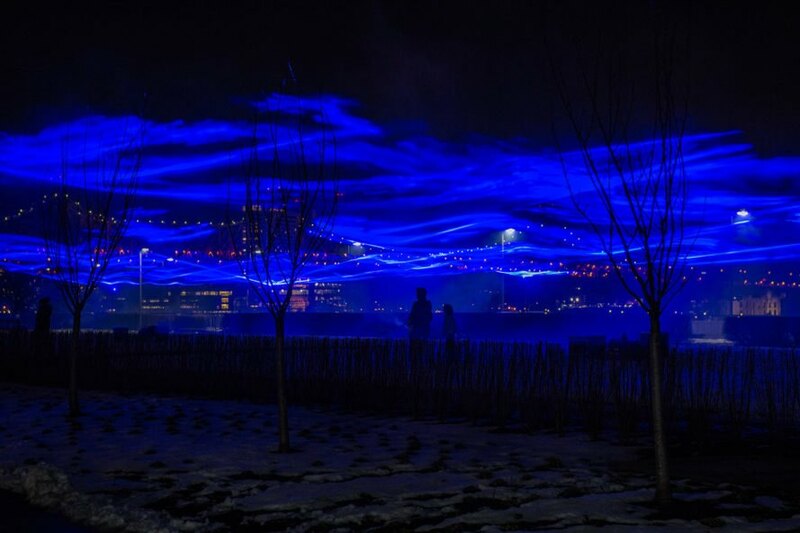 Waterlicht is a dream landscape, in the words of Studio Roosegaarde. Waterlicht serves as a warning but is also meant to spark inspiration for how humans might live with water. Waterlicht lit up UN Headquarters for World Water Day. Studio Roosegaarde's light display, Waterlicht, translates to water light. 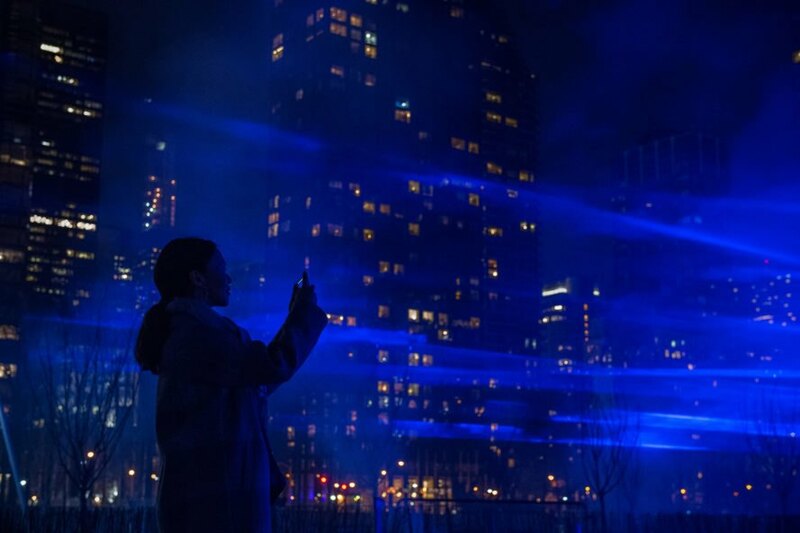 Studio Roosegaarde brought Waterlicht to New York City.